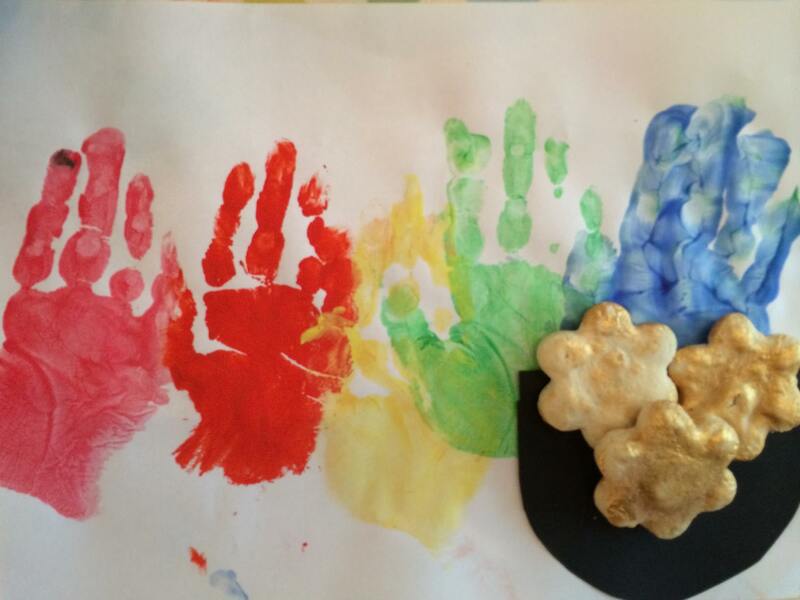 A couple of weeks ago we had loads of fun making our own salt dough leprechaun gold coins. 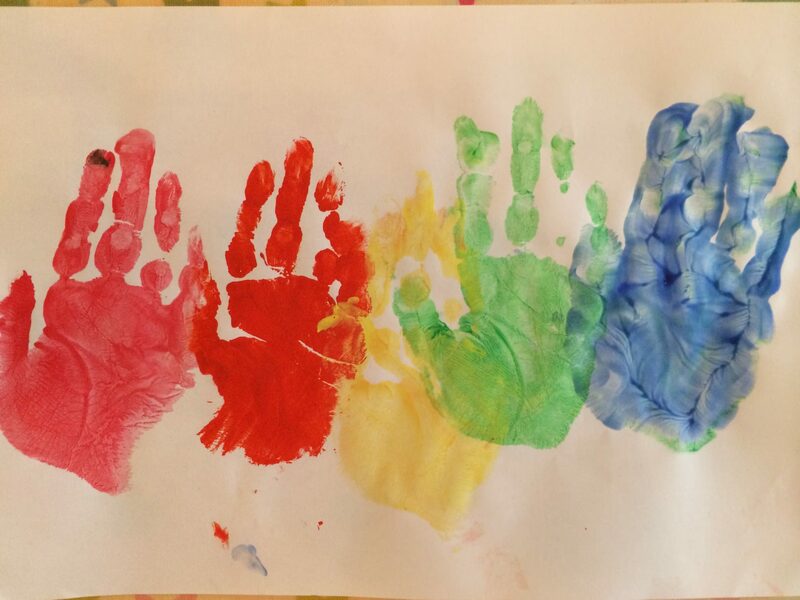 There’s loads of imagery around St Patrick’s Day but my 3 year old really loved talking about rainbows so we thought we’d make our own, with handprints. He’s a great age for directing his own crafting (which is kind of scary!) so we got out the supplies together : white paper, paint tray and red, orange, yellow, green and blue paints. 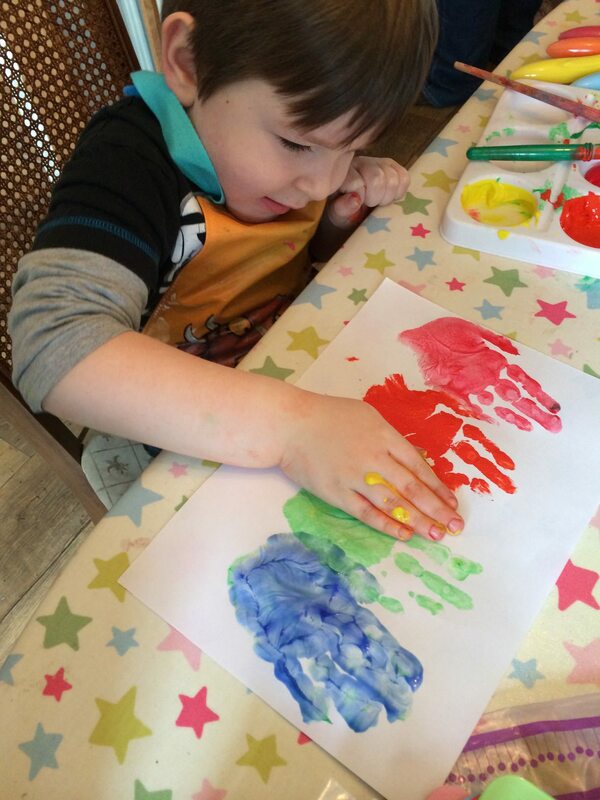 I squeezed the paint out whilst he sponged it over one hand, pressing it down on the paper until he had a rainbow of handprints. To finish it off we added our little black paper pot and a handful of leprechaun gold – just what you’d want to find at the end of a rainbow. This is so sweet, and I bet he completely loved doing it.